I have to admit that I do not really know why but I alsways felt sympathy towards Sarafina, mother of Nala. 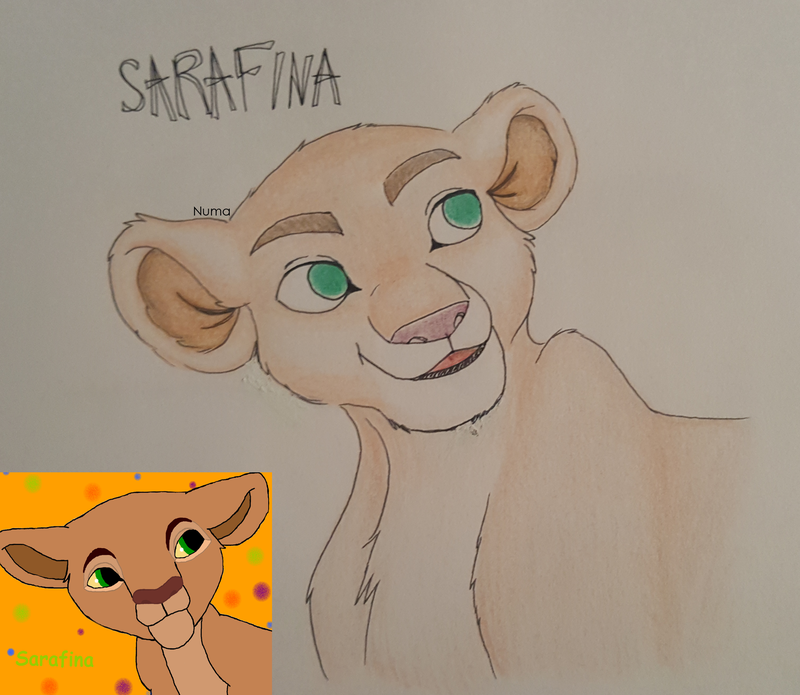 She has very little appaerance in 'The Lion King' but in the fan comics and art I perceived her as a loving mother and compassionate character. In 2012, when I became a member of MLK and I tried to draw digitally, one of my first pictures showed Sarafina. Eight years later, I redrew it and am glad about the development. Soon, I will be uploading some other redrawn art. I love seeing when artists draw somthing they did years ago to show that they have improved. Wow. You have improved a lot. You got the eyes pretty good back then. Yeah, same! I am really excited for the film! I wonder what eye colour Nala has, in the first film she was swiching from blue to green and vice versa. Disney just released the trailer day before yesterday, And I watched it. Nala is shown on the 1:16 mark, and her eyes look golden collerd.